Eviler than "Penultimate Evil" edition. 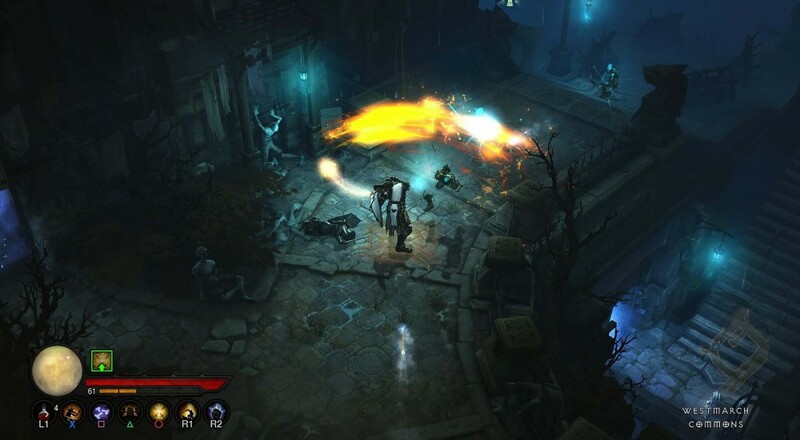 With a massive revamp of the item system and an expansion on the way, the road ahead for Diablo III looks pretty positive. Blizzard lent their ears to the populous and heard their cries. "More class relevant items!" they pleaded. Blizzard felt their plight. "We don't like the real money auction house! It frightens and confuses us!" cried the people. Again, the real money auction house shall be dealt with. "We want to convey a slick sense of fashion while also having killer stats!" The new Mystic companion allows demon slayers across the globe to don whatever garb they choose. With things looking up for Diablo as a whole, Blizzard has announced the new Ultimate Evil Edition for Playstation 4. This new edition comes with the core game, and the "Reaper of Souls" expansion built right in. If anybody was on the fence about buying Diablo, now might be the perfect time to exercise restraint and wait for the bundle on the PS4. Those that have already invested in the PS3 version will be happy to know that their character will not be left to the ravages of time. Users who have both versions of the game can transfer their stalwart champion of heaven to the PS4 console. Once there, your hero cannot return to the realm of the PS3. Not that you'd want to, with all that next-gen glory. Blizzcon went down this past weekend. It also happened to drop a hot new trailer for "Reaper of Souls." Check out the details of what you and your band of devil-punching heroes will be delving into early next year.